Today on 'On Writing', we have author Suresh Chandrasekaran, an alumnus of IIM Bangalore, who is also a popular blogger. His blog has been rated among the Top 5 humour blogs in India, twice in succession - in 2014 and 2015 - by BlogAdda, and has also been listed third among the Top Humour Blogs by Baggout. Since school, I have always wanted to write but it was also driven into me that it was either giving up on writing as a primary possession and eating OR choosing writing as a profession and starving. This was, of course, the eighties and the nineties, so there was no real overstatement in those options for a person who had no inherited wealth to fall back upon. Understandably, I was not too keen on starving or, maybe, not passionate enough about writing to consider starvation as a minor inconvenience in the process of following my passion. I was passionate enough, however, to decide when I passed out of IIM-Bangalore (AND, please, Chetan Bhagat was not even a blip on the horizon in 1988, so HE had nothing to do with my decision) that I would save enough to live upon by 40 and quit to write. I duly quit when I was about 41 and here I am. I am what writers call a plotter. I have to have the entire story mapped out in my mind, chapter by chapter, scene by scene before I start writing. You can understand that the creative urge and the excitement is mostly in seeing the story grow. It is at that time that the way a story progresses excites and surprises you as much as you want the reader to be excited and surprised. By the time I get to the actual writing, all that remains of the fun of writing is seeing the sentences shape up. 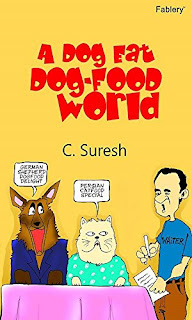 It is more fun, say, in writing like “A dog eat dog-food World” for humor is as much in the writing as in the concept. In my other writing, the actual typing in of the words seems like a chore – so I am very disorganized in my writing, sometimes not putting down a word for months on end. So, at the moment, I have more stories in my head than on my computer. What is special about ‘A dog eat dog-food world’? This book is, for more reasons than one, close to my heart. Not merely because it is my first solo book (I have an anthology – Sirens Spell Danger – of crime stories, with Karthik and Radha). Normally, I have a fair idea of how good my own writing will turn out to be by the time I START on the writing. Generally, it turns out to be the way I thought of it. This one, though, ended up being by far superior to my own idea of how it would turn out. I had taken on an ambitious idea. I wanted to write a breezy tale that would read like a corporate humor story. Within that, I wanted to write in a spoofy way of using real-life marketing concepts and writing it in as a sort of history of the development of marketing management. I also wanted to put in how social attitudes, needs, and wants get influenced by companies trying to push their products. The overarching idea, though, was to indicate the possible consequences of assuming that the ‘Invisible Hand’ would lead to social good even if people pursued their own selfish motives. By the time I finished, I realized that I had managed to do all that I set out to do – to a great extent. That, though, would have been only the self-congratulation of the author, were it not for the fact that a lot of readers, in their reviews, have shown me that they have seen the various layers in the book. 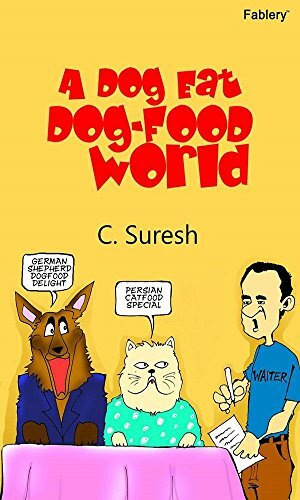 How long did it take to finish writing ‘A dog eat dog-food world’? Fablery had asked me for a novella and I had promised it to them. That year, though, we were all working on the anthology – Siren Spell Danger – so I told Fablery that I would write only the next year for them. The point, though, is that the idea of this book was germinating through that year and by the time I started the actual writing, the entire thing was fleshed out in my mind. Without counting the nine months that it was germinating in the background, the book took six months to complete. Please share a passage from ‘A dog eat dog-food world’ for our readers. I generally am more interested in what I read rather than the form I read it in. I was originally reluctant to buying a Kindle because I was not sure about how my eyes would handle it since they do have a tendency to water with prolonged exposure to monitors. So, I never did buy a Kindle…and, then, my co-authors in the anthology decided to gift me one for my birthday three years back (Yes! There are some times when your prejudices work in your favor!) NOW, I am indifferent to either form of reading though, yes, when it comes to traveling a Kindle is most certainly an advantage since you need to carry along much less weight. You are a very popular blogger. How has blogging helped you as a writer? The whole idea of blogging was because I wanted to write. When I first went looking up Submission Guidelines, I found quite a few of the major publishers had a section where the author had to indicate what he would contribute to marketing a book. ‘Nothing’ would have been my answer but, somehow, it did not seem that the Publisher would embrace me as an author if he saw that. So, I decided to blog with the idea that, perhaps, there would be a readership for my writing which I could then mention to a potential publisher. It would also help me get into the habit of writing and allow me to practice the craft. What I did not anticipate was that I would make good friends along the way. As also the fact that feedback on the blog would serve as a boost to my self-belief. It helped, of course, that I was also listed among the Top Humor Bloggers by multiple sites, despite the fact that I was too intent on seeing the blog AS a marketing tool rather than as a product to BE marketed and, thus, had taken minimal efforts to popularize it. Marketing, I think, has always been important for books. The problem, NOW, is that the marketing effort is supposed to be contributed by the AUTHOR. Not merely as in being present in book launches and book signings but the whole rigmarole. That is unfortunate. An author now has to be presentable, market-savvy, capable of spending on the marketing effort and also of writing. It is the overall package that sells, which means that a brilliant book could fall by the wayside because the author falls short on other parameters. How ideal is it to want an author to be at least half a Superman before you will read his book? But, yes, that IS the way the world is now. As I said in my reply to the earlier question, you may not even get published unless you indicate how you are going to market your book. The fact that I acknowledge the reality by no means indicates that I think it is good. But, yes, it IS the reality. That’s a difficult question to answer. I am an eclectic reader and read almost ALL genres. I probably have read more authors than the average reader has read books, so to pick favorites is near-impossible. If I were to choose based on who I would read over and over again, then I would have to say, P.G. Wodehouse and William Shakespeare. I need to clarify that I do not speak of writers of non-fiction or Literary Fiction or poetry. I speak mainly to what it pleases people to call ‘genre fiction’ writers. You are primarily a STORY-teller, so know if you have a story worth telling that you want to tell. It is worth telling if you are not merely rehashing what has been told a million times before. And you are telling it because THAT is what you want to tell and not because that is what you think will sell. You are a story-TELLER. That means you have to tell it well. Even if you do have a great story to tell, unless you can tell it well, you are not a writer. So, please do not disdain learning the language well and learning how to tell a story effectively. READ! I am always surprised that this needs to be told to writers. I mean, ever heard of someone who does not like to hear music wanting to become a composer? So, how can someone want to be a writer if he does not enjoy reading? But it does seem to need telling. READ and enjoy your reading for that is what will give you a command over the language (There IS a difference between grammatically correct sentences and sentences that SING); will let you know IF the story you have in mind has been told a million times before – the ‘Come on! Not another pair of lovers from warring families” feeling is the last thing you want from the reader; will also teach you what great story-TELLING is all about. Thank you, Suresh, for this interesting chat. Looking forward to reading more from your pen. 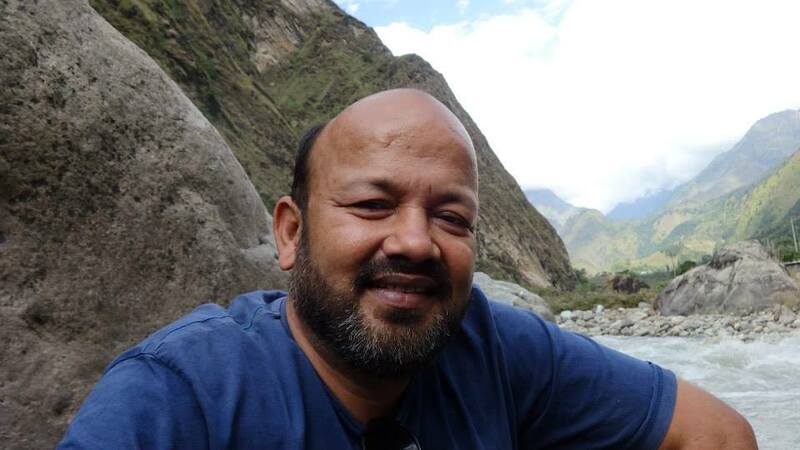 Good, interesting and elaborate article on Suresh Chandrashekharan. Loved the interview and now I want to read the book. It's refreshing to come across someone who has PG Wodehouse and Shakespeare as their favourites. Or else it's JK Rowling all the way - not that I have anything against her, Harry Potter pretty much rules for me too.